While many of the tiaras in the vast Luxembourg family collection were created within the past century, today’s sparkler, the Grand Duchess Adelaide Tiara, is one of the family’s oldest, and yet most wearable, diadems. The first wearer of the tiara apparently was Grand Duchess Adelheid-Marie, the wife of Grand Duke Adolphe, Luxembourg’s first sovereign from the House of Nassau. The piece was created around 1870, probably in Germany. The majority of the tiara is made of a complicated leaf design that is studded with diamond berries. The center of the tiara boasts a large sapphire -- but even better, the dark blue stone can apparently be swapped out for a pale aquamarine, allowing the wearer a bit more versatility. On some occasions, the women of the family have also beefed up the bling by added a diamond necklace to the base of the piece. 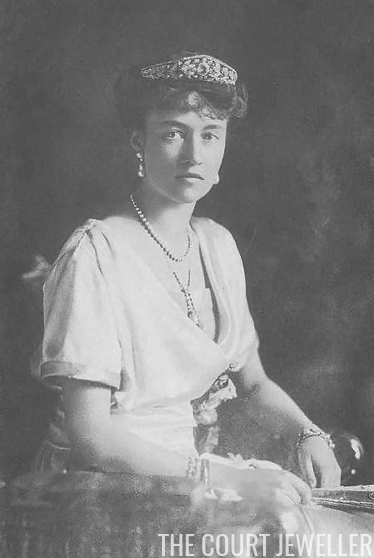 The tiara was a particular favorite of one historical Luxembourg royal lady: Grand Duchess Marie-Adélaïde, the granddaughter of Adelheid-Marie. Marie-Adélaïde had a short and rather tragic reign in Luxembourg. She was the nation’s first reigning grand duchess (indeed, changes had to be made to allow her to reign), but when the public perceived her to be pro-German in the midst of World War I, the government pressured her to abdicate. After reigning for less than seven years, Marie-Adélaïde abdicated in favor of her younger sister, Charlotte, in 1919. She gave Charlotte her jewels, including the tiara, and Charlotte wore the piece frequently throughout her lifetime. 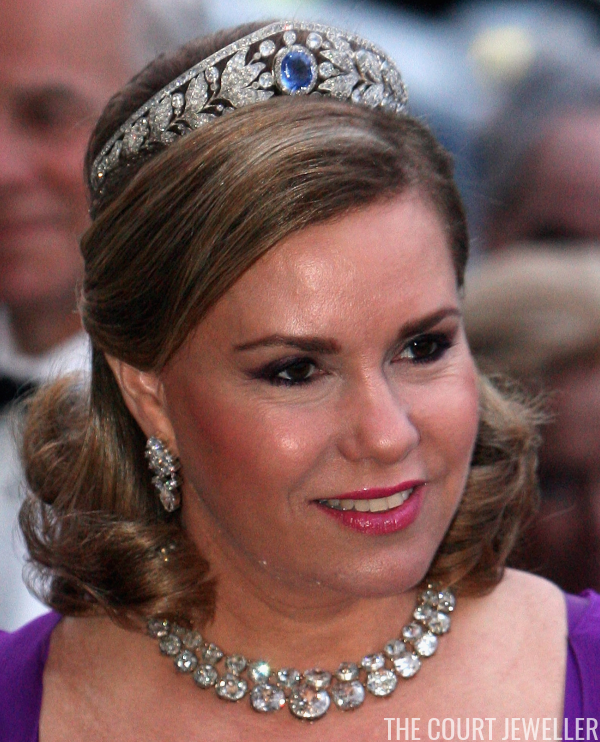 Since then, every grand duchess in Luxembourg has worn the tiara. The use of the piece is not restricted only to the sovereign or the sovereign’s consort, however; it has also been worn by other women in the family. Princess Tessy wore the tiara at the pre-wedding ball for Hereditary Grand Duke Guillaume's 2012 wedding. 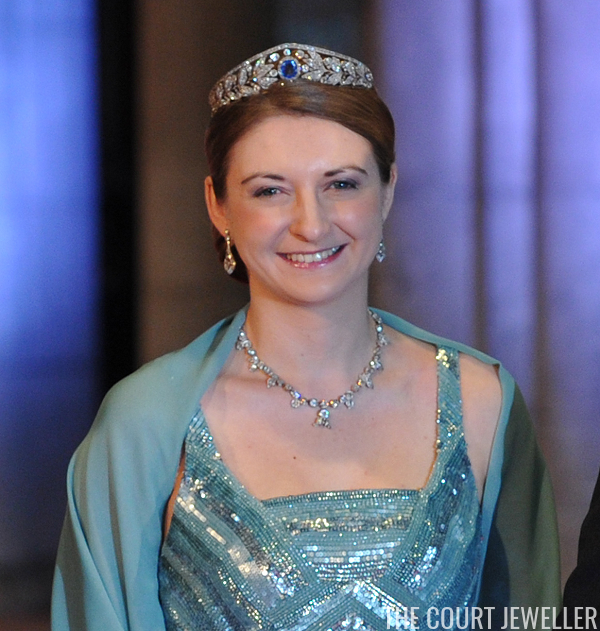 Hereditary Grand Duchess Stéphanie, Guillaume's wife, made her debut in the tiara at the inauguration celebrations for King Willem-Alexander of the Netherlands; she has also wore it during the annual National Day celebrations.